HighFields land and buildings have been sold BUT NOT THE BUSINESS! 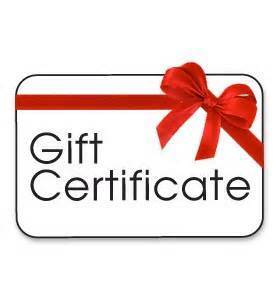 Unfortunately we are not able to provide meals or accommodations at the present time, but the ‘value’ of any outstanding Gift Certificates will be honored at our new spa locations. We are looking for a suitable location to re-open HighFields Country Inn & Spa in the immediate area. To schedule your appointment for spa services with Norma, now at the former Vivian Medical Spa, 6165 Vivian Road, Mount Albert, please contact Norma @ 905 716 5088 or email info@highfields.com. Use of the gym equipment and the walking trails is complimentary. Please park in the front lot and just past the garage doors you will find 2 glass doors leading into a large inviting solarium. Just relax in a reclining chair or sit around one of the patio tables and browse through brochures explaining about the Eminence Organic Products available, as well as the medical services offered at this location. Wednesday: 1st appointment 10 am, last appointment 2 pm. (The doctor is available for anti-aging injections from 3 to 5 pm). Friday: 1st appointment 10 am, last appointment 3 pm, with the exception of the 1st and 3rd Friday of each month which is when blood work is done from 9:30 am to 1:30 pm. Dr. Andrew is available by appointment for Platlet Rich Plasma injections followed by Oxygen infusion. Saturday: 1st appointment 10:30 am, last appointment 2 pm. I am frequently asked “which type of facial should I get”. My answer is, “please let me analyze your skin, ask you what you would like to see changed, discuss, and make a recommendation”. Microdermabrasion/Oxygen Infusion (60 min) – $100. Microneedling/RF Skin Tightening/ Micro current Muscle Stimulation, Oxy Infusion (90 min) – $150. Hialurox Laser Facial (120 min) – $200. Thermal RF Skin Tightening (90 min) – $150. Echo II Oxygen Facial (60 min) – $100. Eminence Anti Aging Custom Facial (60 min) – $100. Reiki with Guided Meditation (60 min) – $100. Aromatherapy Relaxation Massage(60 min) – $100. Balneotherapy/Wrap & Cellular Cleanse (90 min) – $175. To schedule an appointment with Lisa for therapeutic massage services and manual osteopathy, please text or call Lisa @ 416 294 9860 or email: osteopathymassage@gmail.com. Lisa is located at 86 Ringwood Drive, Unit 23 in Stouffville and her web site which lists all Lisa’s treatments available is lisarmt.com.